Owing to the vast acquaintance, our firm is competent to present Oil Bond Mixing Plant. Our customers can avail this product as per their requirements. High Speed Mixer can mix all types of dough for mass production of bakery products. 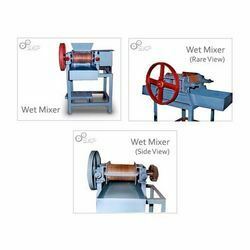 High speed mixer is the closed type. The mixing process is basically meant to convert flour and other inputs to form mass of dough. Time lost in fermentation is nil as compared to slow speed mixers 2 hrs. SINGHASINI Double Paddle Mixer are twin shaft with adjustable pitch of the paddle which enables variation of capacities and degree of mixing. 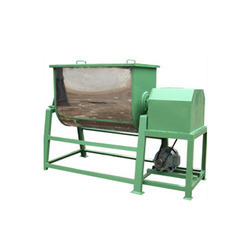 These are ideal for mixing lumpy materials like filter cakes and materials with high moisture with dry material to make the mixture free flowing. Draft tube / Paddle crutchers for saponification & boiling of soap.